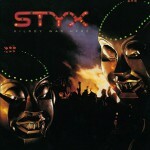 Maybe I was 12 when I listened to ‘Mr Roboto’ by Styx for the last time. The song was recorded for the album ‘Kilroy Was Here’ in 1982. That was 11 years before the first release of the Mosaic web browser, 17 before the term ‘Internet of Things’ was coined and approximately 30 years before the rise of IoT. It’s fascinating how the song talks about some kind of cyborg and also gives a glimpse of the possible impact of social media technologies and the very existence of IoT, not to mention the ‘time machine effect’ that the song still has over my mind. The world in the 1980’s, as Styx knew it, was transformed into this hyperconnected place we live in today, where computers are omnipresent. Nowadays, we are doing anything and everything to enhance or merge ourselves with technology. We’ve learned about Google Glass, Microsoft HoloLens and more recently about a hacker who implanted an NFC chip in his hand to bypass security scans and exploit android phones. We also know about how Amazon is trying to fill our skies with drones to deliver products to customers; Doctors implanting pacemakers with WiFi capabilities, so they can monitor their patients; and toothbrushes, light bulbs and coffee machines being web-enabled to send information to Cloud, Big Data and Machine Learning enabled services. Furthermore, the way we interact with the Internet of Things or should I say Internet of Addictions, makes us all behave like tech junkies. It’s clear that the disruption created by Social, Mobile, Analytics, Cloud and Things (SMACT) is reshaping / transforming our world really fast. So fast that the thought of the hypothetical advent of artificial general intelligence, as stated by the Technological Singularity theory, is no longer considered a taboo. The question, here, is not whether the Singularity will happen, but WHEN will it happen? Want to know more about Internet of Things? Visit our Sogeti Spain website. 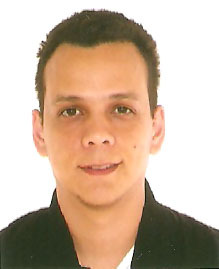 Carlos Mendible has been .Net Architect for Sogeti Spain since 2012. He is Head Solutions Architect in, one of our major clients, A3 Media, and is also responsible for assisting with the sales process as Pre-Sales Engineer and for conducting workshops and training sessions. More on Carlos. Prev ¿Cómo conectar tu dispositivo IoT a la nube?